ROSA is a women's European two-piece swimsuit from Gwinner's Aquasport collection. It is a versatile model that is perfect not only for water sports and a beach vacation, but also for beach and indoor volleyball. 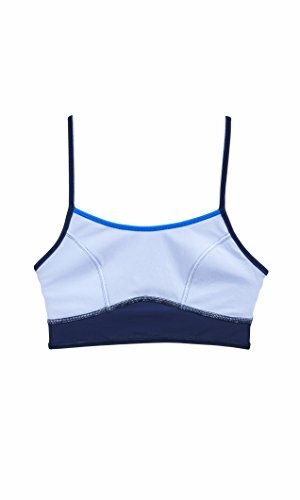 This perfectly matched two piece swimming suit consists of a sports bra top with bright accents and solid colored boyshort bottoms. The swimsuit is equipped with adjustable crossed straps, special inserts under the bust and a lining to ensure bust support and ideal fit. Boyshort style of the bottoms guarantees optimal coverage and comfort. The Rosa swimming suit is made of high quality Italian fabric from Carvico, a company that specializes in manufacturing fabric for professional fitness and sportswear. 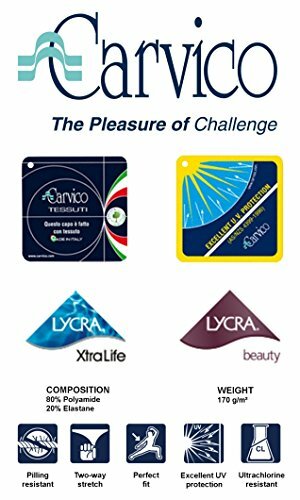 Carvico XTRA LIFE LYCRA offers UV protection and is extremely durable, retaining its color and shape swim after swim. The two-way stretch of the fabric and its high elasticity ensure an impeccable fit and freedom of movement. Resistance to pilling, discoloration and stretching. Lining and inserts under the bust. Thin straps crossed on the back. Double seams for extra durability. Each swimming suit is sold new with tags and with a hygiene strip attached. 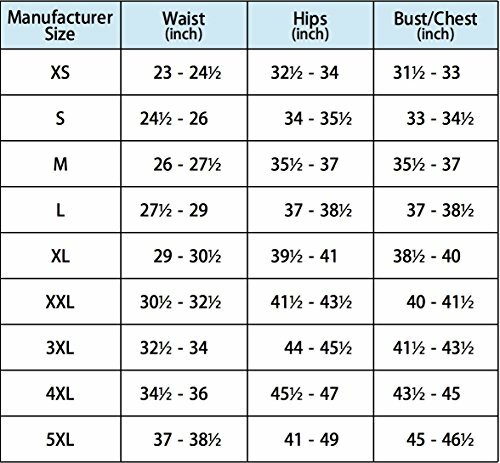 Please refer to the brand specific size guide which appears as an image.